Habitat: Prefers dry, sandy soils on roadsides, arable and waste ground. 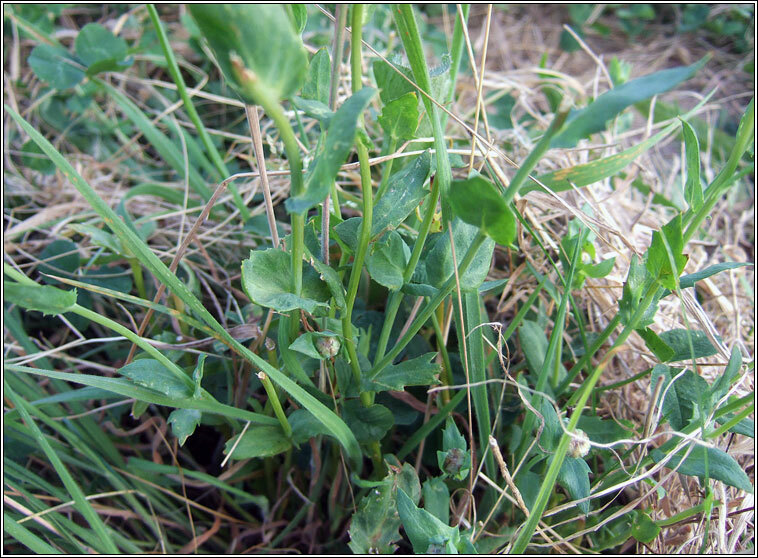 Decreasing as an arable weed but often found sown with grass seed on road banks and in wildflower mixes. 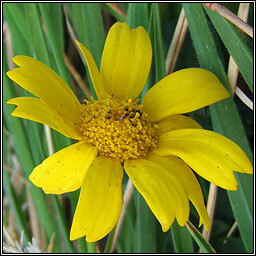 Long-stalked golden-yellow flowers on an erect or sprawling plant. Hairless leaves are toothed, +/- fleshy, greyish-green with smaller stem-leaves.